Okay, so Fall started a while ago, but I’m just now getting around to making my famous apple pie. It seems like during the past couple of years I’ve been slacking in the apple-y creations department, and I guess a part of that is that I haven’t gone apple picking and come home with apples go leor (“a lot”). I guess that’s one downside to college life in NYC. 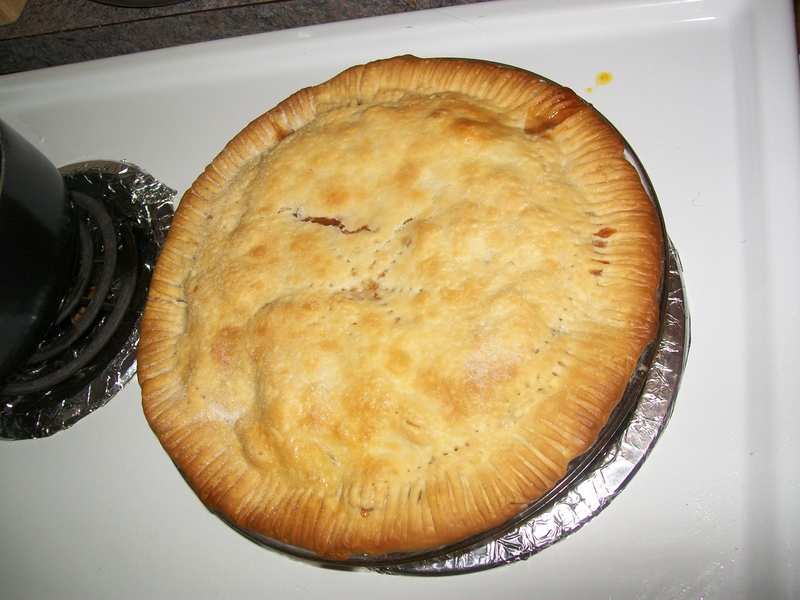 I remember only making one pie at Thanksgiving and then another at Christmas last year, and nothing else apple related. I want that to change this year, though. I’m thinking about making an apple crisp sometime soon, as well. Maybe apple turnovers and something else, too. I just need to get my hand on more apples, so it looks like a trip to Trader Joe’s will be in order; if only those little buggers weren’t so heavy once you have more than a couple of them. But I suppose the end results will be yummy enough and worth the hassle of lugging them down here from Union Square. I’m getting super impatient in waiting for my pie to be ready to take out of the oven. . . . Come on apple pie, bake up faster, le do thoil (“please”), I want to eat youuuuu. FINALLY. May I present, total deliciousness in a 9-inch pan. And now on a CT-related note: HAPPY 32ND BIRTHDAY TO MY DARK DESTROYER!! A Ryan, Breithlá Shona Duit!